So that’s it. The tree is gone, the decorations are back in their boxes, the leftovers have been eaten, your waistline is bigger than it was before and your bank account is significantly emptier that it was before. Most of us are feeling the after effects of the holiday season, and as usual it is our finances that seem to have suffered the greatest blow. If you have been careful with your spending, you might be doing alright, but if you are like the rest of us, you are probably looking for some ways to save! With that in mind, here are 12 secret tricks to help you to save money. It may seem silly that this is the first secret, since you have probably found this one out the hard way. But being prepared is key to saving money. If you know that you have a big event coming up, such as Christmas or a birthday, prepare for it by setting aside the necessary funds and mapping out exactly what you are going to spend. 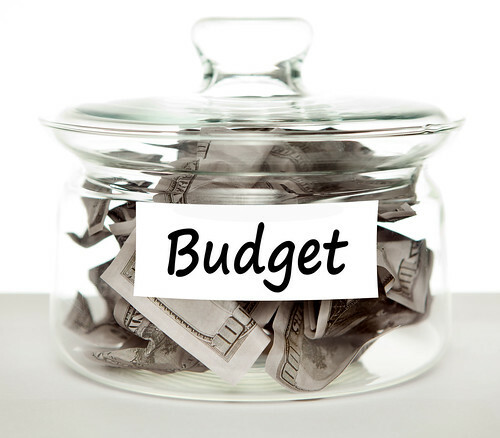 Part of being prepared is to create a budget. Take your monthly salary and map out a budget so that you know exactly how much you can spend, and on what, each month. There is no point having a budget unless you can stick to it! As you are budgeting, make sure that you take care of necessities first. And make sure that you know what these are. For example, food is a necessity, a new sweater is not. 5. Don’t Spend the Rest! Just because you have taken care of your necessities for the month, does not mean that you are free to blow the rest of your paycheck on whatever you want. Some months come with unexpected expenses that you must be prepared for, and this is not possible if you haven’t saved any money. 6. Actually Use Your Coupons! Couponing seems to have become the latest shopping craze to have taken over the nation. Perhaps you would like to be a part of it, so you probably have a stack of newspapers piling up in the kitchen somewhere. They won’t do any good there! Tip number six: start using them! Some people go crazy when it comes to buying in bulk. Only buy that which you use often, and you will find it does make a difference. Furthermore, if you buy enough you can create a food store that you can turn to if money gets tight. Do you ever go to the store for “a few things” and come out with half the shop? The best way to avoid this is to write a list before you leave and commit yourself to sticking to it. If you put aside a small bit of money from each paycheck that you receive, you will be surprised by how fast the extra builds up. 11. Do You Need it? Before you buy something, think carefully about whether or not you actually need it. If the answer is no, leave it and then come back to it later. This should help to cut out any unnecessary impulse buys. If you do not feel that you have much of a head for personal finance, then find someone who does to help you out. There are even multiple apps and programs that can be downloaded to help you with your daily budgeting. David Glenn is a home improvement expert. He occasionally freelance writes for Budget Direct, an Australian insurance company that focuses on “cutting the cost, not the cover”. Check out Budget Direct for more information on home and contents insurance.